The internet and art need each other. This Spring, we want to make it easier for the two to come together with more than 70% off the first year of your new .art domain. An artist doesn’t just paint or draw or sing or write. What makes art art is its ability to stir empathy, or break barriers you didn’t even realize were there and help you see the uniqueness in things so common you take them for granted or the mundane in the holiest of holies. Simply put, art expresses a unique perspective and hopefully leaves you changed in its wake. The internet, for its part, brings communities together, allows for unprecedented collaboration, and opens a window to the whole world in the palm of your hand. At its best, the internet combines, collides, and amplifies a multitude of voices and perspectives. It thrives on the same unique expressiveness that art does. From April 1 through May 12, stretch the limits of human (or machine?) 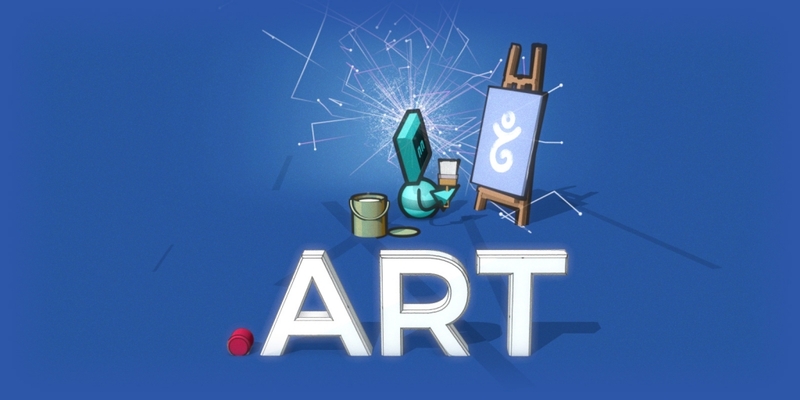 expression, create a new artistic community, or put your work online to join in one when you get a .art domain for $5.00* for the first year (instead of $17.44*). So be creative! Be expressive! And get a .art this Spring. *Prices in USD. See .art price page for local pricing.